International Intellectual Property in an Integrated World Economy features a comprehensive introduction to the global system regulating the field of intellectual property rights, including how the treatment of IP may affect a broad range of social and political interests. The updated third edition includes discussion of important jurisprudential developments, including recent EU Court of Justice decisions clarifying permissible acts in relation to copyrighted computer software, Indian Supreme Court case law involving patentability standards, and US Supreme Court decisions adopting international exhaustion for copyright. Inclusion of important jurisprudential developments, including recent EU Court of Justice decisions clarifying permissible acts in relation to copyrighted computer software and restricting enforcement of intellectual property rights in relation to goods in transit; Indian Supreme Court case law involving patentability standards, and; US Supreme Court decisions adopting international exhaustion for copyright, and limiting patentability of genetic materials and information found in nature. 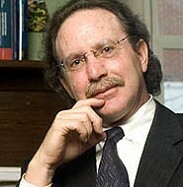 Frederick Abbott is Edward Ball Eminent Scholar Professor of International Law at Florida State University College of Law. He has served as expert consultant for numerous international and regional organizations, governments and nongovernmental organizations, mainly in the fields of intellectual property, public health, trade and sustainable development. Professor Abbott is the author of many books and articles in the fields of international intellectual property rights law, public health, international law, international economic law. Recent books include International Intellectual Property in an Integrated World Economy, 3d ed. 2015 (with T. Cottier and F. Gurry), Emerging Markets and the World Patent Order, ed. with Carlos M. Correa and Peter Drahos (2013) and Global Pharmaceutical Policy (2009) (with G. Dukes). He is Co-Chair of the Committee on Global Health Law of the International Law Association, having served as Rapporteur for the Committee on International Trade Law from the inception of its work in 1993 to its conclusion in 2014. He is consultant to the World Health Organization, the United Nations Development Program and other multilateral institutions. Professor Abbott is on the editorial board of the Journal of International Economic Law (Oxford). He regularly serves as panelist for the WIPO Arbitration and Mediation Center. He has served as counsel to governments in WTO dispute settlement proceedings, and in national court proceedings. Prior to entering academia, Professor Abbott was partner in a major US law firm and specialized in international business regulation and technology-related transactions. He was based in San Francisco (1977-1983) and Silicon Valley (1984-1989). Professor Abbott is Co-Director of the Executive Course on Intellectual Property, Diplomacy and Global Public Health for the Global Health Programme of the Graduate Institute|Geneva and he teaches on the visiting faculty of the World Trade Institute, Berne, Switzerland. He is a graduate of the Yale Law School and the University of California, Berkeley. Mr. Francis Gurry was appointed Director General of the World Intellectual Property Organization (WIPO) and Secretary-General of the International Union for the Protection of New Varieties of Plants (UPOV) on October 30, 2008. 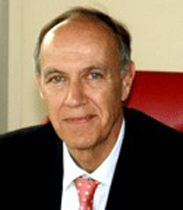 Francis Gurry began his WIPO career in 1985, initially in the Development Cooperation and External Relations Bureau for Asia and the Pacific. He was instrumental in establishing the WIPO Arbitration and Mediation Center in 1994 and subsequently in developing the highly successful Uniform Domain Name Dispute Resolution Policy. He served on the WIPO top management team from 1997, initially as Assistant Director General, then from 2003 as Deputy Director General with responsibility for patents and the PCT system, the Arbitration and Mediation Center, traditional knowledge, traditional cultural expressions and genetic resources. Before joining WIPO, Francis Gurry practiced as an attorney in Australia, and taught law at the University of Melbourne, Australia. He holds law degrees from the University of Melbourne and a Ph.D from the University of Cambridge, UK. He is the author of numerous publications and articles on intellectual property issues in international journals. An Australian national, Francis Gurry speaks fluent English and French. Thomas Cottier, Managing Director of the World Trade Institute and the Institute of European and International Economic Law, is Professor of European and International Economic Law at the University of Bern. He co-directs the national research programme on trade law and policy (NCCR Trade Regulation: From Fragmentation to Coherence) located at the WTI. He is an associate editor of several journals. He was a visiting professor at the Graduate Institute, Geneva and also currently teaches at the Europa Institut Saarbrücken, Germany and at Wuhan University, China. 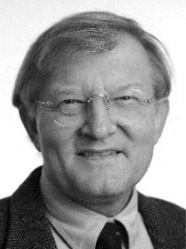 He was a member of the Swiss National Research Council from 1997 to 2004 and served on the board of the International Plant Genetic Resources Institute (IPGRI) Rome during the same period. He served the Baker & McKenzie law firm as Of Counsel from 1998 to 2005. Prof. Cottier has a long-standing involvement in GATT/WTO activities. He served on the Swiss negotiating team of the Uruguay Round from 1986 to 1993, first as Chief negotiator on dispute settlement and subsidies for Switzerland and subsequently as Chief negotiator on TRIPs. He held several positions in the Swiss External Economic Affairs Department and was the Deputy-Director General of the Swiss Intellectual Property Office. In addition to his conceptual work in the fields of services and intellectual property and legal counselling, he has also served as a member or chair of several GATT and WTO panels. Prof. Cottier has written and publishes on a wide range of trade and international law issues.